Product prices and availability are accurate as of 2019-04-09 14:41:07 EDT and are subject to change. Any price and availability information displayed on http://www.amazon.com/ at the time of purchase will apply to the purchase of this product. The SE 82616MD High Speed Steel Drill Bit Set (15 PC.) is useful for drilling holes in ferrous metals, glass, marble, stainless steel, stone, tile, and tough casting sand forgings. It is great for electronics, metalworking, wire insulation, and more. 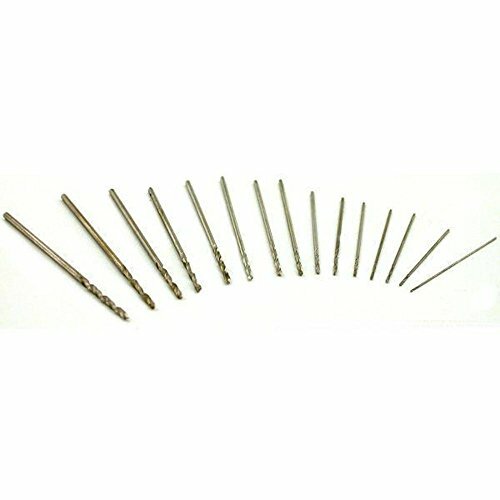 These drill bits are ideal for dremel rotary tools. The bits come in a convenient storage pouch with labeled sizes for organization and transportation. This set includes these sizes (mm): 1.05, 1.10, 1.15, 1.20, 1.25, 1.30, 1.35, 1.40, 1.45, 1.50, 1.60, 1.70, 1.80, 1.90, and 2.00. Warning for California Users: Pursuant to California Health & Safety Code Section 25249.6, the distribution of this product warns you that this product may contain substances known to the State of California to cause cancer and/or reproductive toxicity. Warning: Using hand tools can be dangerous. Always take care and keep away from children. Wear protective eyewear in work area at all times. Select correct type and size of hand tools for work. SE is committed to providing the customer with the best source for value possible on the market. 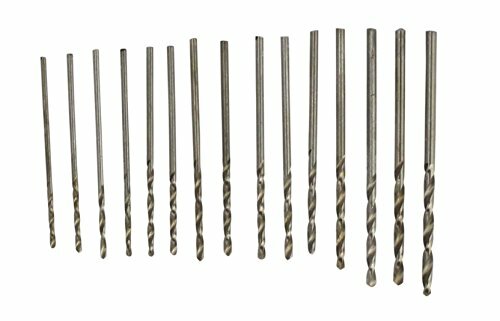 You will enjoy the quality, function and usefulness of our SE 82616MD High Speed Steel Drill Bit Set (15 PC.). IPR Rights Notice: Important: Avoid getting counterfeit items. Genuine SE products come with the SE logo on the packaging. SE is a registered trademark protected by US Trademark Law. High speed steel Different sizes Shank size: 1/16" & 3/32"